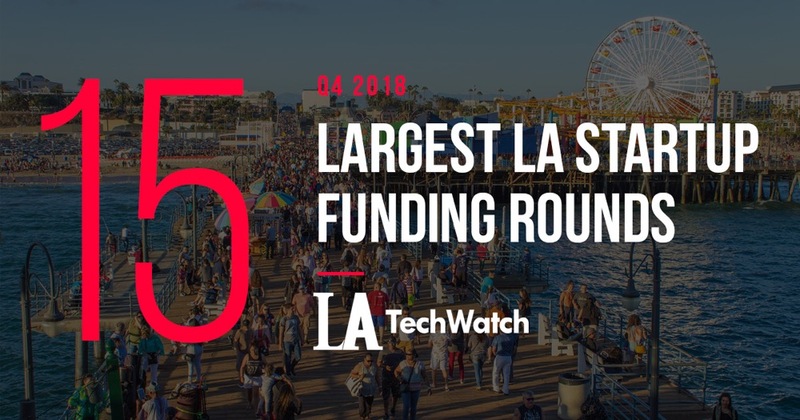 Today, we take a look at the 15 companies that have raised the largest startup funding rounds in Los Angeles in Q4 of 2018 using some data from our friends at Crunchbase. In addition to the dollar amount, we have included a brief description, industry, round type, total equity funding raised, and funding round details. Lastly, in order to maintain a focus on conventional tech-enabled startups, pharmaceutical, financing, real estate, and biotech companies were removed from the data.